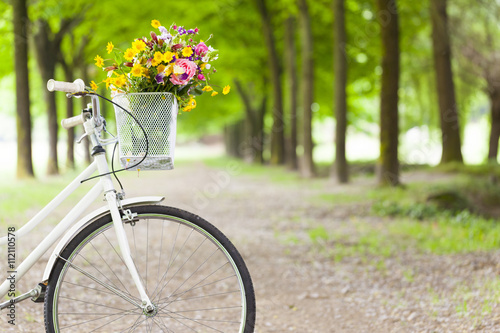 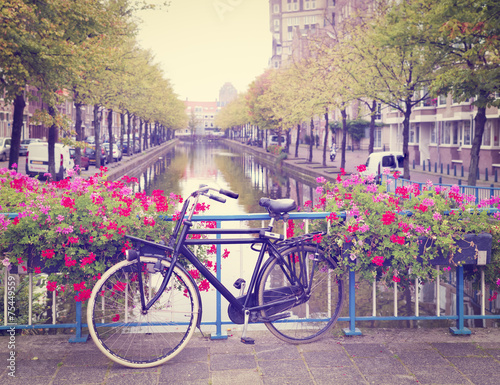 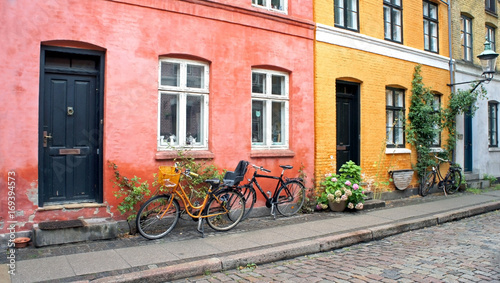 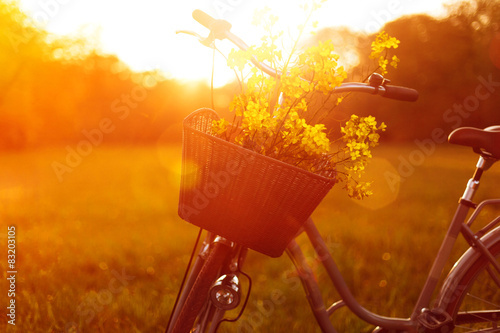 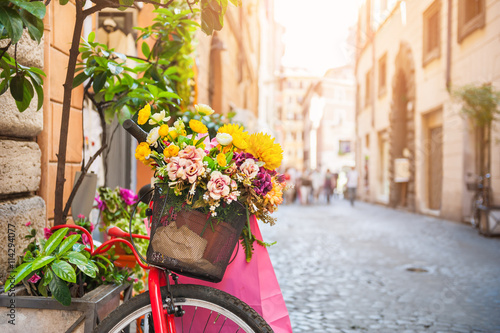 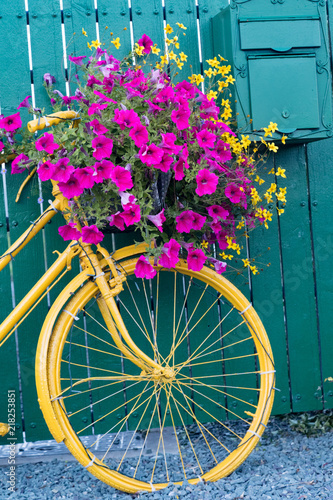 Bike with basket of spring flowers in park near bench in sunlight in sunset or sunrise. 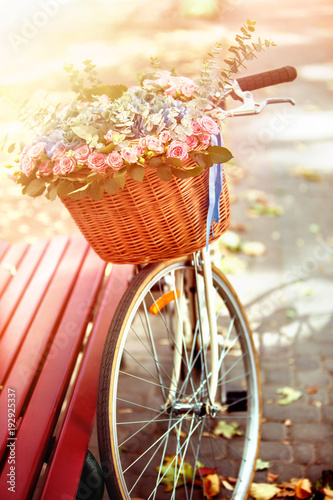 Beginning of new season of discounts. 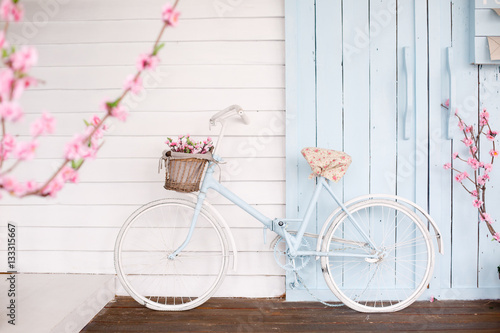 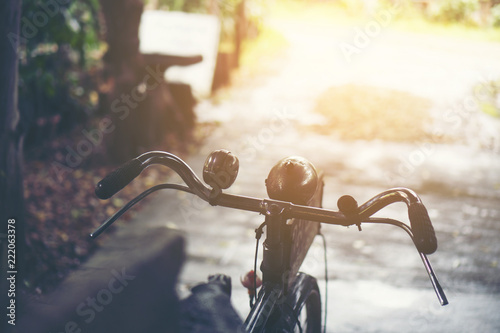 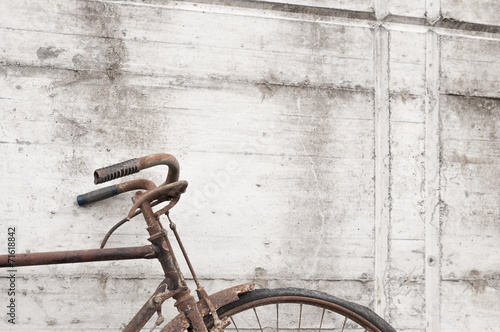 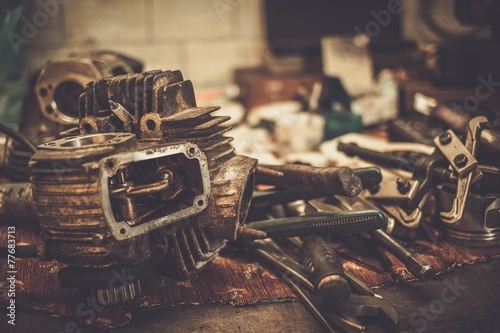 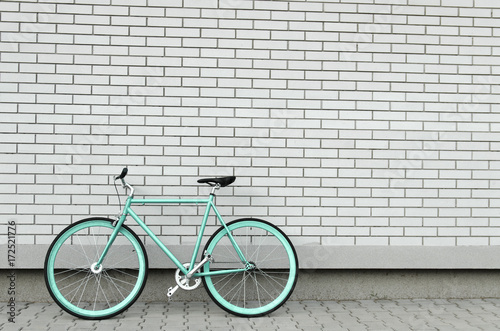 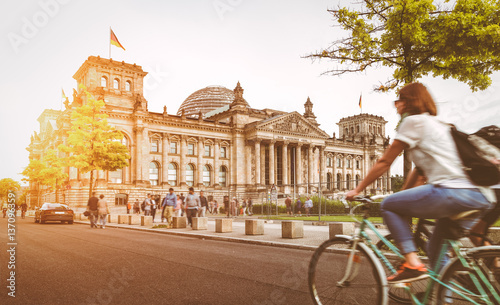 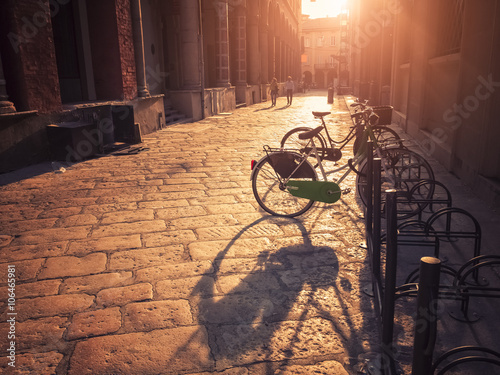 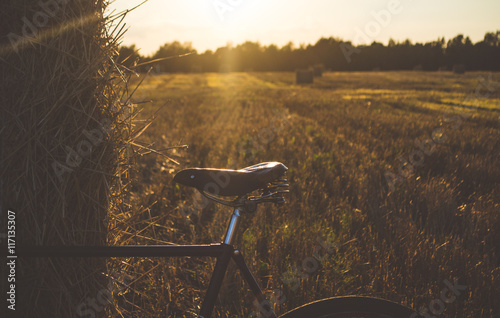 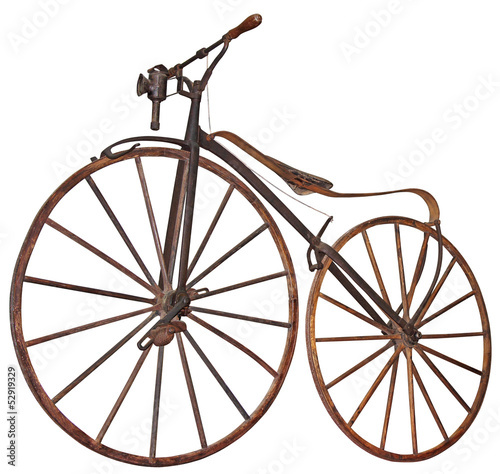 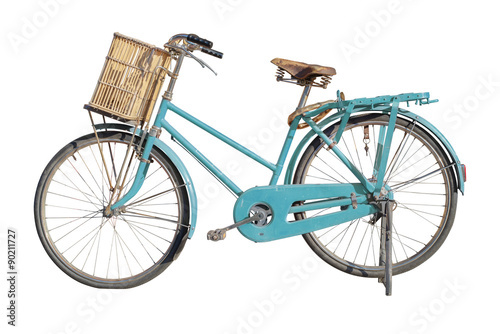 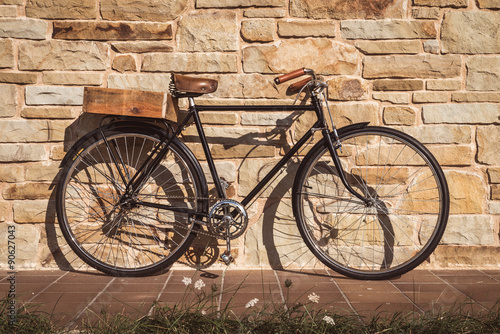 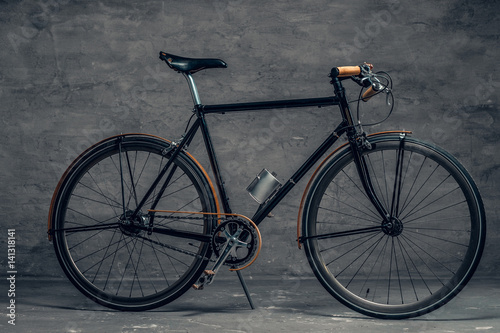 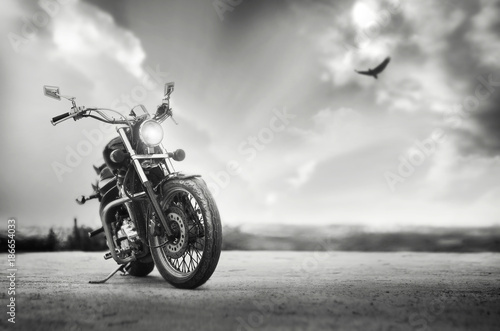 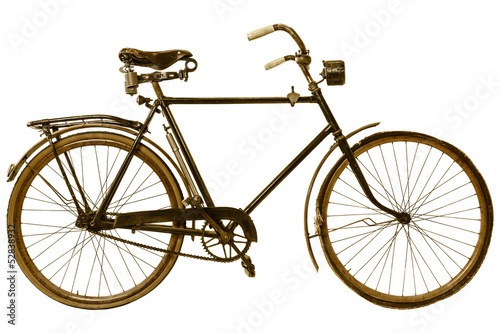 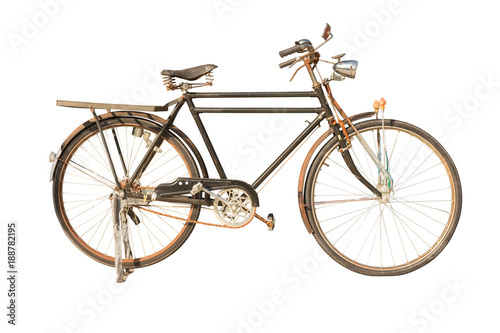 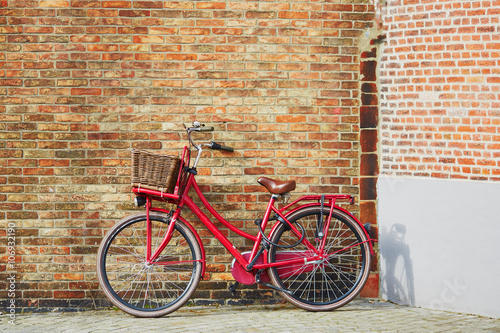 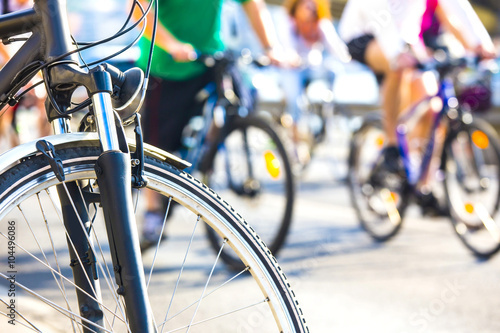 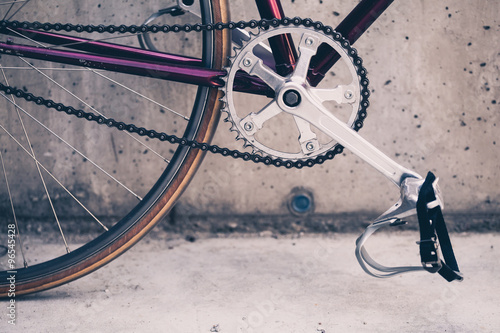 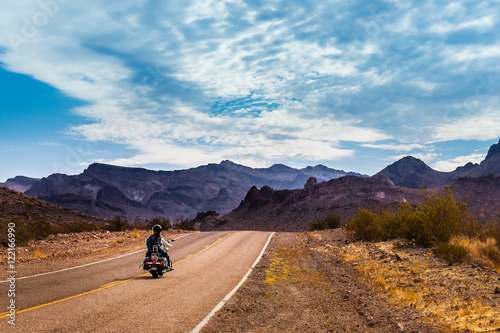 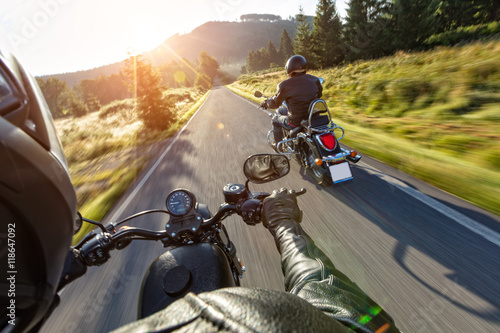 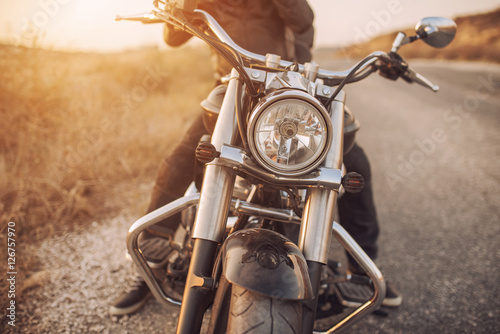 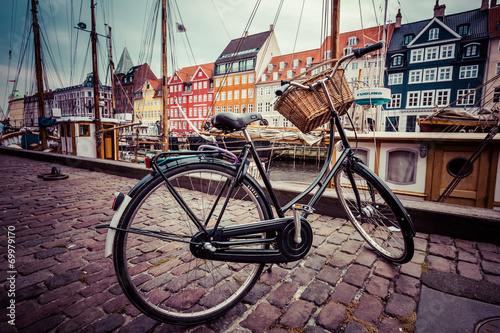 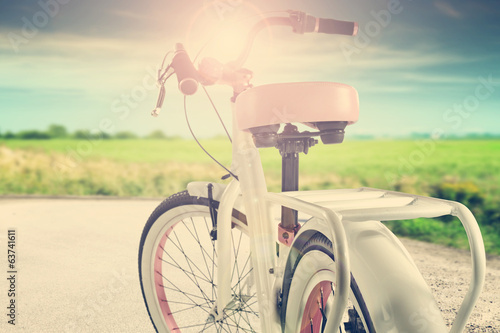 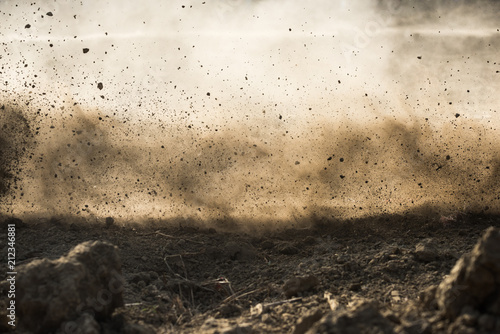 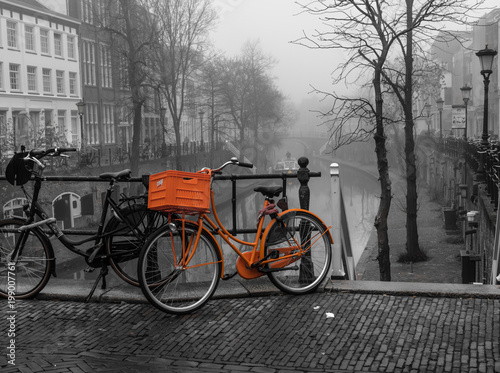 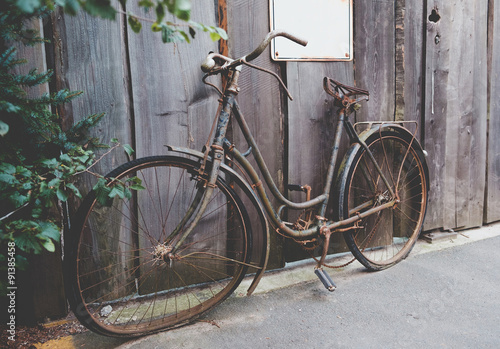 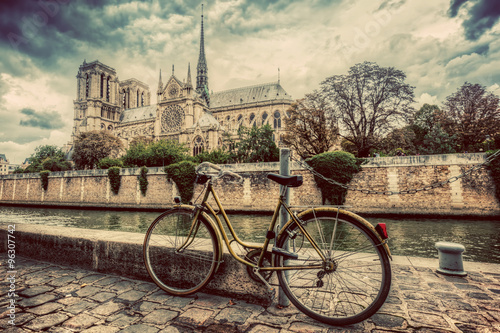 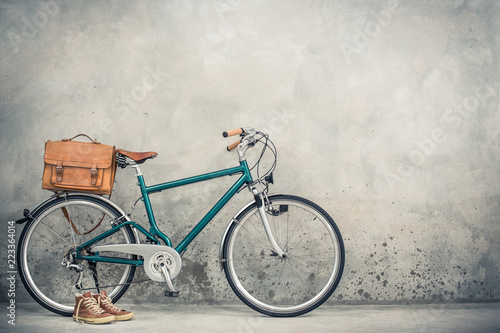 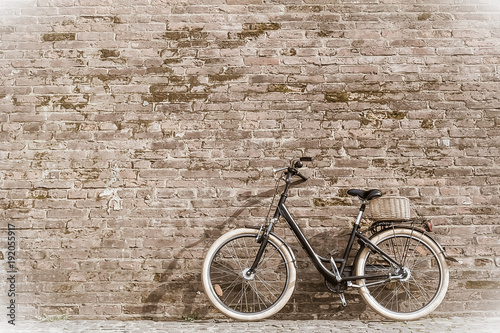 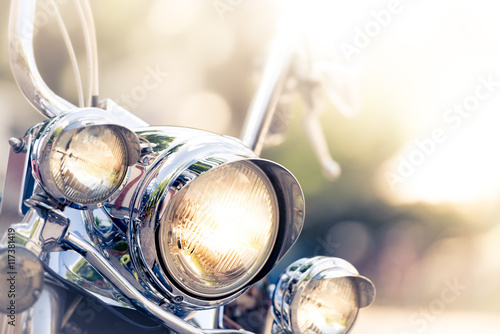 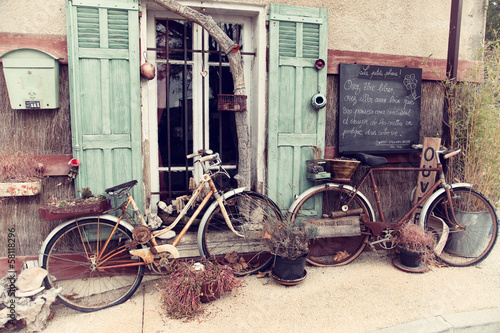 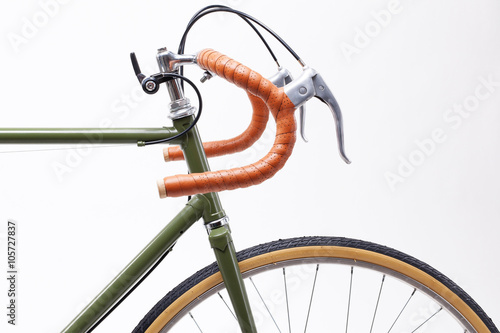 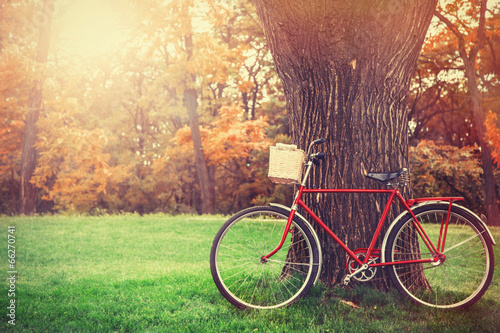 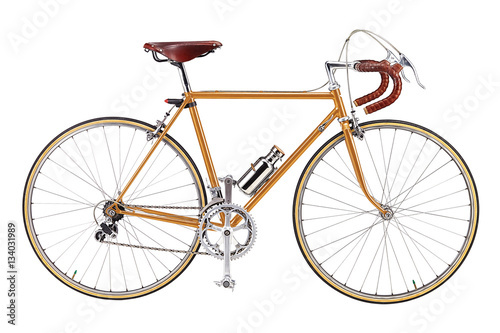 Retro bike,isolated on white background with clipping path.